With Earth Day just past I’ve been trying even more than usual to find great crafts that recycle or up-cycle items. 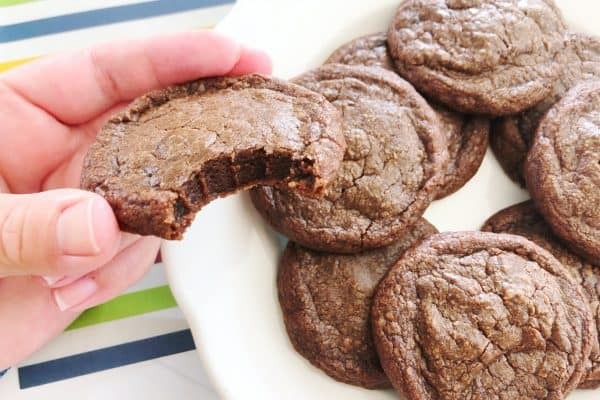 I’ve also been thinking about homemade gifts for birthdays that are coming up, Mother’s Day, and of course end of the school year for teachers. 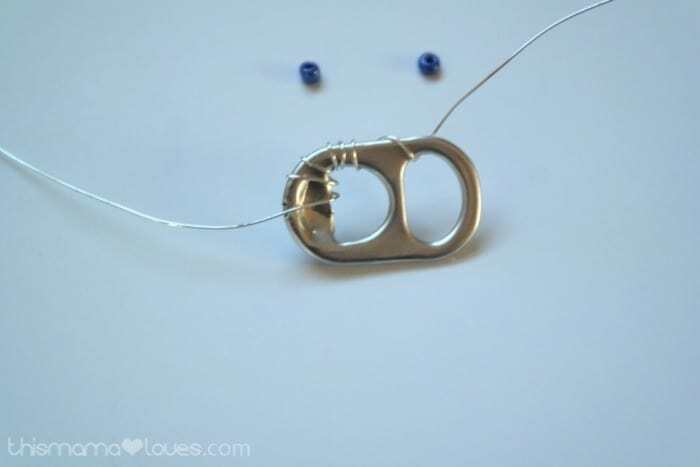 My daughter recently had a can of lemonade and popped the tab off the top which reminded me of some really great Soda Can Tab Jewelry I’d seen years ago. 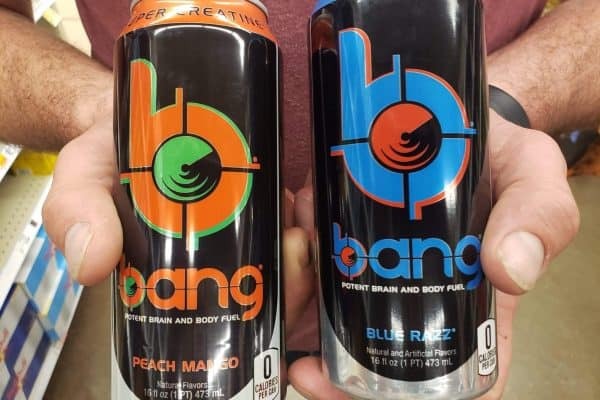 Well, in Michigan we call them pop cans but that’s another story! 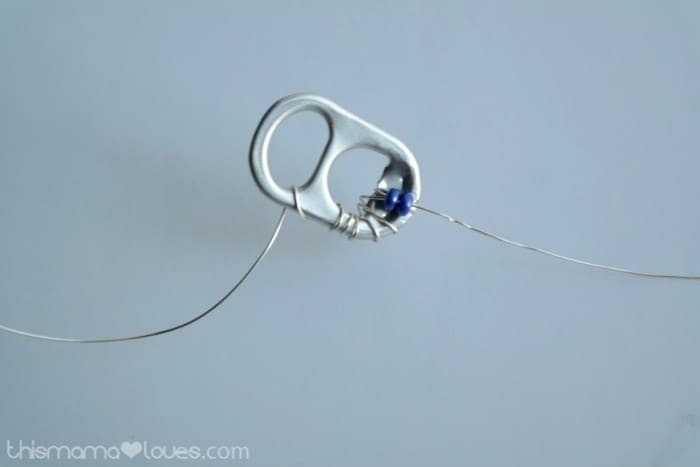 Begin by cutting a piece of wire approximately 24″ long. 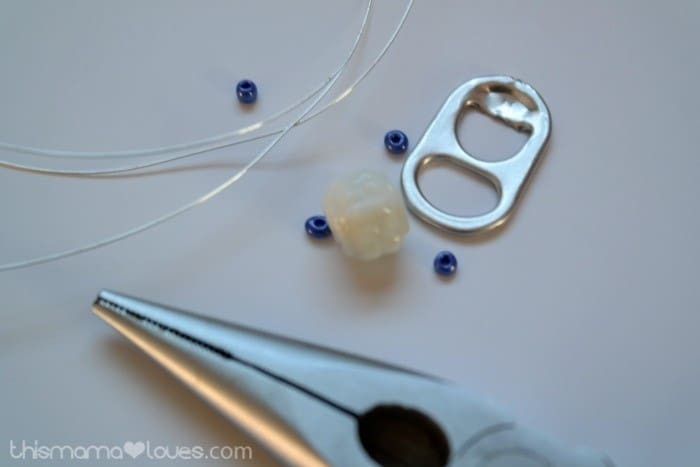 Pull the wire through the top of the soda tab and begin wrapping it around the tab and down one side. You can wrap it around as many times as you like to get the look you want. Stop when you get to the second opening in the tab. Before wrapping the other side of the tab add a small bead or two to the wire that will wrap around the top center. 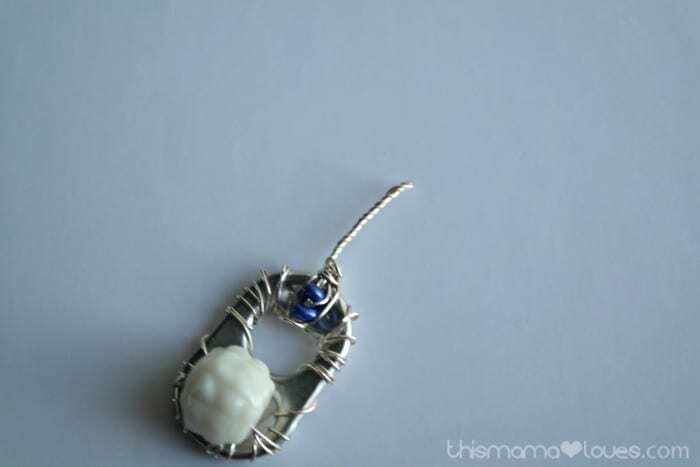 With the beads in place continue to wrap the wire down the other side of the tab. When you’ve reached the lower section add a larger bead to the wire. I centered the bead in the larger opening on the soda can tab and fed the wire through the bead from both sides. 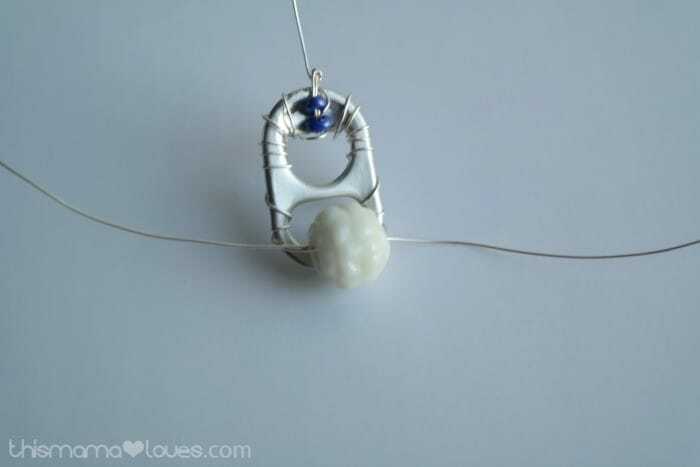 With the larger bead in place and secure continue wrapping the wire around the tab. When the wires meet at the bottom of the tab bring them behind the bead and back through the top opening in the tab. Continue wrapping the wire around each side until they meet back at the top. When they meet at the top twist them together and use the wire cutters to trim the extra wire off. 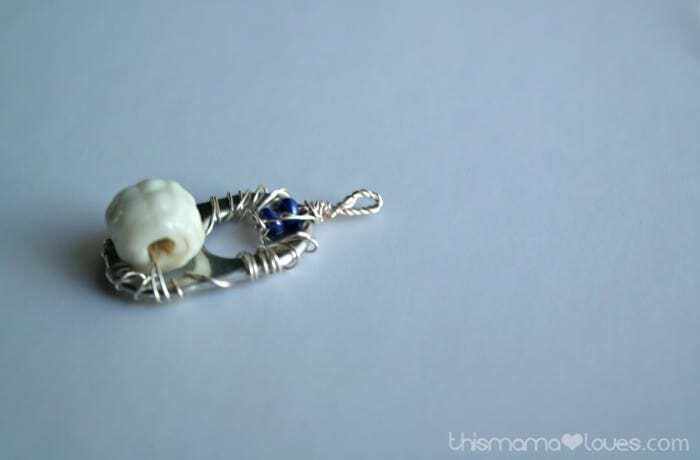 Using the pliers, twist the wire to form a loop for a chain or necklace to slip through. Secure the wire making sure no sharp ends are exposed. 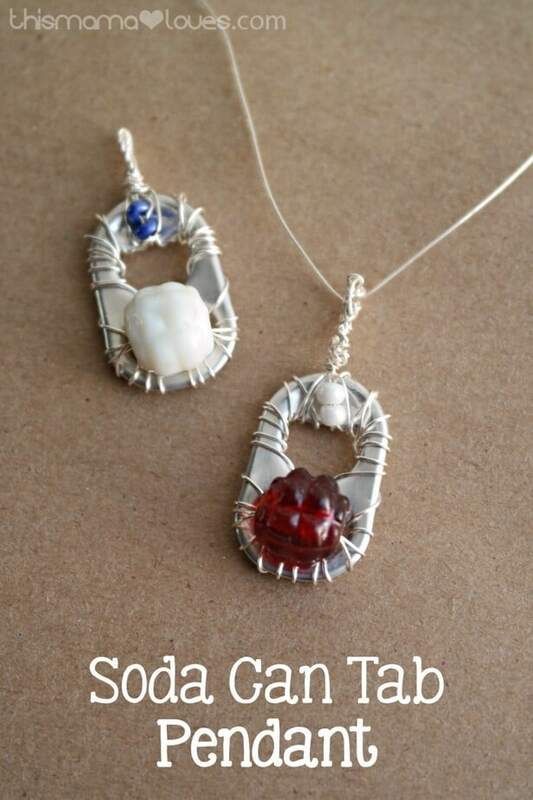 Who knew recycled Soda Can Tabs could make such a beautiful piece of jewelry? They’ll be a unique and special gift for some of my friends and family over the next few weeks! Really clever idea! I like how you recycle those can tabs and turned them into a piece of art! 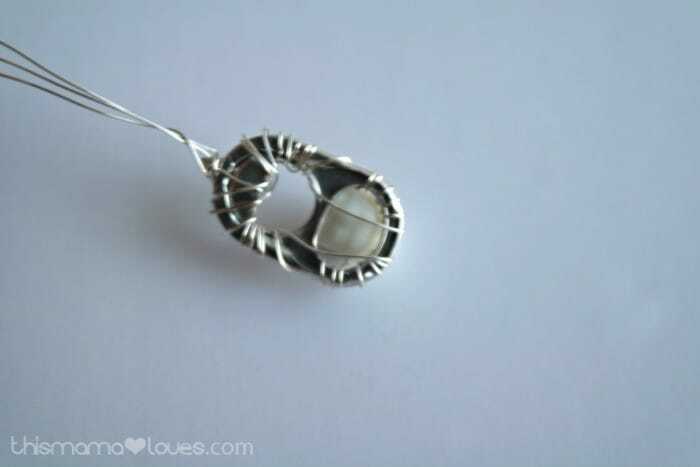 I love this craft and can’t wait until I have my nieces over to make these pendants with them. 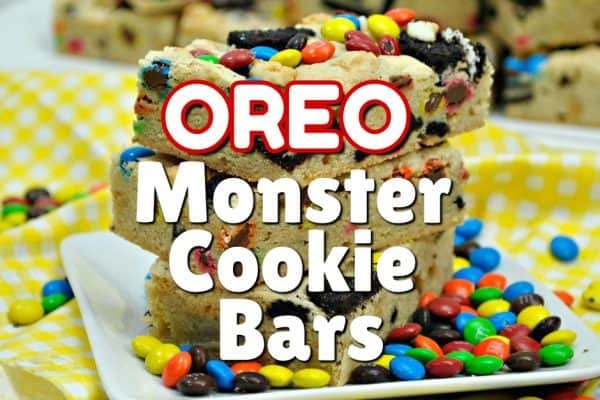 Thanks for sharing these over at Foodie Friends Friday Linky Party. I picked these as my host favorite, they were featured over at the Daily Dish Magazine on Monday and will be featured on my party post tonight. Hope to see you again with more great ideas like this one. This is so cute, and what a fun way to recycle! I’ve seen a few soda can pop top jewelry around but I must say this is the cute’s yet. I love how you added wire and beads. I’ve seen a few sida can pop top jewelry around but I must say this is the cute’s yet. I love how you added wire and beads.